Adding buttons to do work for you may seem like a dream. That is, unless you've had this course. 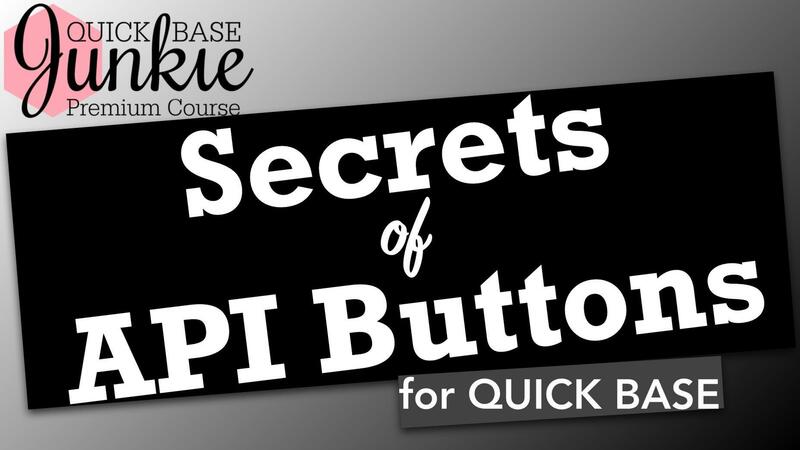 Unlock the Secrets of API Buttons and the increased productivity that comes with them. Email is an outdated form of communication when it comes to team collaboration. 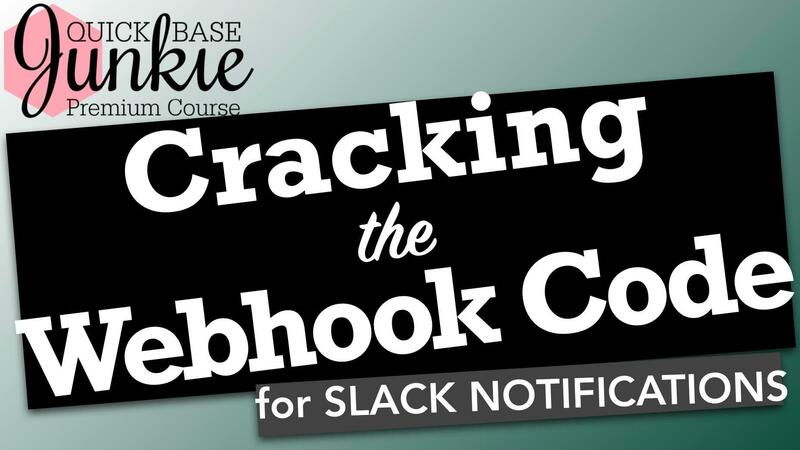 So why are you still sending your Quick Base notifications to email? Find out how you can dramatically improve team communication around records being added, deleted, or modified in your Quick Base. 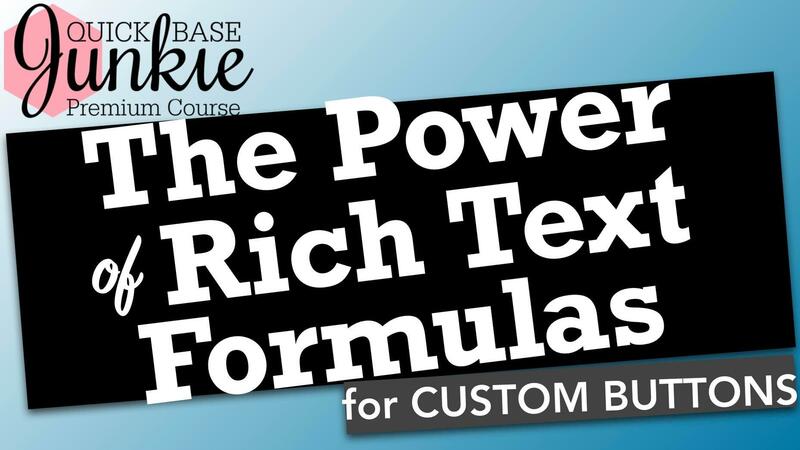 Rich Text Formula fields may be the most powerful field in your Quick Base. How are you leveraging them to drive action, draw focus, and engage users? A solid understanding of the most useful formula functions is key to success. 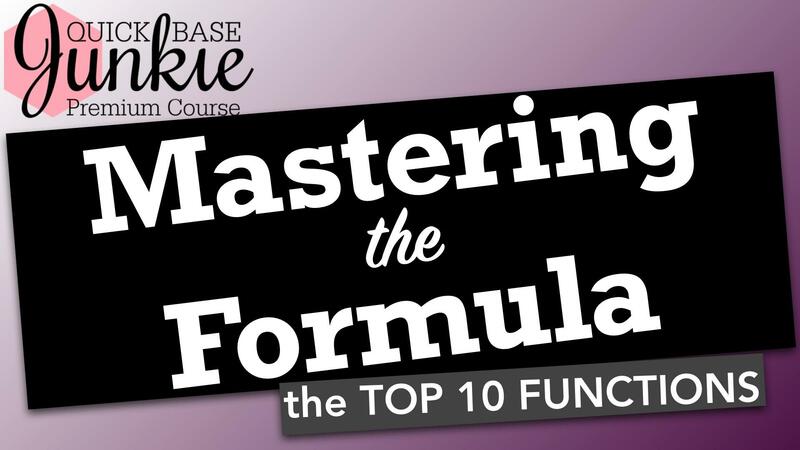 Mastering the Formula contains the functions every app developer must know, how to apply them, and their use in action. Skillfully identify when and how to use functions like Case, If, Part, List, Left/Right, Length, Contains, and More. Be the first to get the latest information on the availability, content, and pricing of Quick Base Junkie Premium Courses. 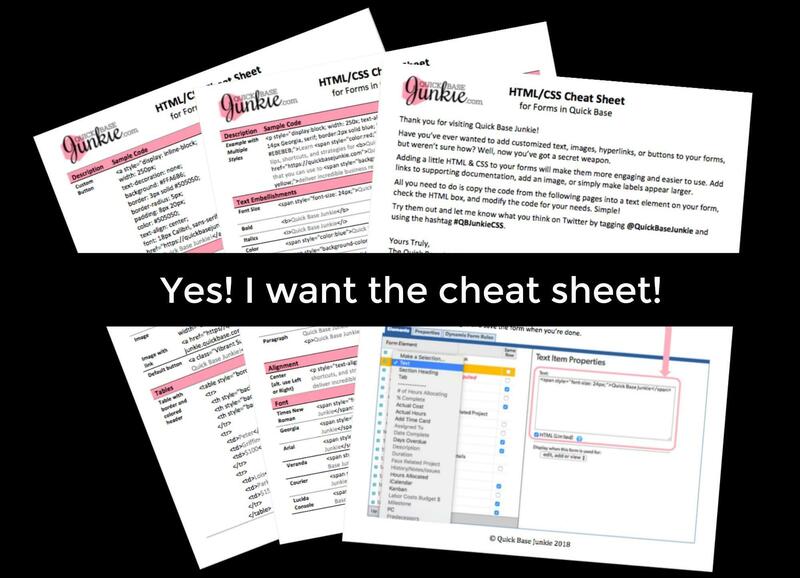 Which courses are you interested in?Secrets of API Buttons Cracking the Webhook Code The Power of Rich Text Formulas Mastering the Formula All of the above!